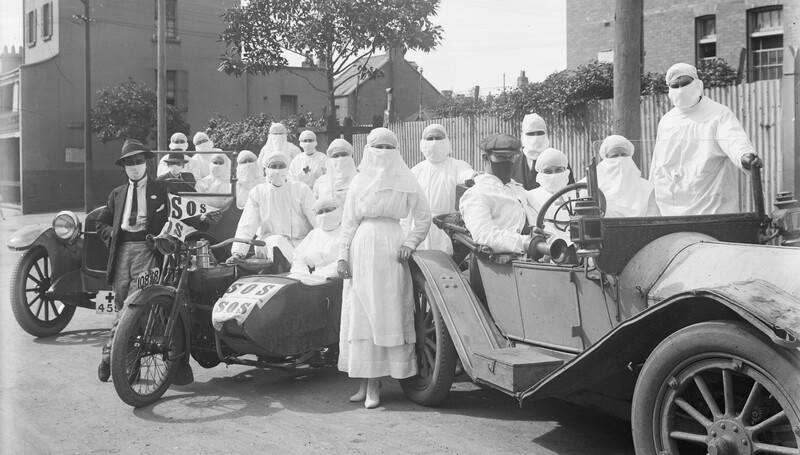 Schools and businesses were closed, hospitals overflowed and masks became compulsory in public when Pneumonic Influenza pandemic hit Parramatta in 1919. It’s been 100 years since the Spanish flu (as it was commonly known) reached Australia’s shores and transformed life for nearly a year, according to information provided by the Parramatta Heritage Centre. These days the Commonwealth government procures vaccines to protect against the most dangerous strains of the flu, but no such protection was available a century ago. The deadly Pneumonic Influenza strain was unusual in that it targeted otherwise young and healthy people, and could lead to death within days of the first symptoms. Local councils, including Parramatta Municipal Council (now City of Parramatta Council), mobilised preparations for the pandemic from December 1918, which helped reduce the spread of the illness. Councils issued directives on the importance of sanitation, cleanliness and infection control, and administered a vaccine to inoculate people against secondary bacterial infections. There was no vaccine to protect against the main virus responsible. Even with all these and other precautions, 6,387 people in NSW lost their lives to Pneumonic Influenza in 1919. The toll was small compared to at least 50 million deaths worldwide. Thankfully public health has come a long way in the century that has passed – but the flu can still prove deadly. A particularly bad flu season in 2017 claimed 653 lives in NSW. Western Sydney Local Health District public health director Dr Shopna Bag said the annual flu shot is the best protection against influenza and it’s important for all people, not just those at risk. “If enough people are immune to a contagious disease, it significantly reduces the chance that it will spread to more vulnerable people who can’t develop their own immunity,” Dr Bag said. For more information, visit the NSW Health website and speak to your GP.